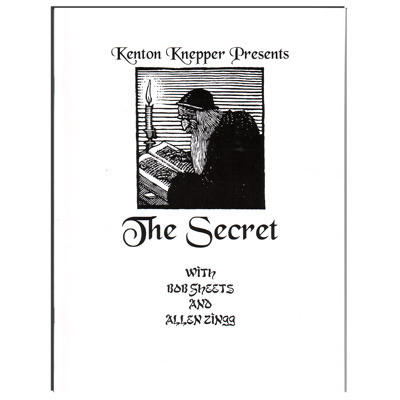 Today, when you order "The Secret by Kenton Knepper - Book", you'll instantly be emailed a Penguin Magic gift certificate. You can spend it on anything you like at Penguin, just like cash. Just complete your order as normal, and within seconds you'll get an email with your gift certificate. "The Secret" is mentalism and does take some guts. Some will want to use an occasional out. Bob Sheets, Allen Zingg and Kenton all have made reputations on this material. We supply some no-miss methods as well as the more bold approaches. This is POWERFUL stuff - some of the most valuable work Kenton has tipped in a long time. The Secret isn't for everyone. 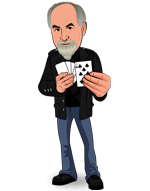 But is is frightening as hell real mentalism - where the spectator is taught how to use their own intuition - really! The basic effect is an envelope contains a playing card or photo inside it. The performer claims he will telepathically send what is in the envelope to the spectator. By using her intuition, she is to answer questions about the picture or playing card. While the spectator generally has NO IDEA HOW SHE KNOWS, it turns out the spectator KNOWS what is in the envelope. This can be repeated. In fact the more you do it, the better the spectator's intuition becomes. This is wicked stuff. No sleight of hand - only sleight of mind.